My friend Frank Ritcey and I are working on a social engagement/book project called “The 12 Labours of Your-name-goes-here-ules”. It’s like the 12 Labours of Hercules but all the labours are linked to activities in nature. As part of this work we’re gathering all that we can to mark the Winter Solstice on Monday, Dec. 21 from the TRU “Knoll”. 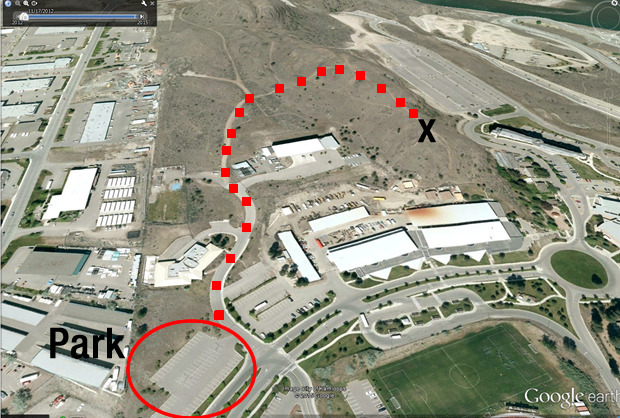 We’ll meet at 7:45 AM in Parking Lot T (just beside the Trades and Technology Building) and walk up to the Knoll. Bring a pen and paper and we’ll have extra, as well as profiles of the eastern horizon available! Bring your kids and let them begin work on “The Sun also Rises” labour! Follow us on Facebook at: https://www.facebook.com/groups/12labours/. 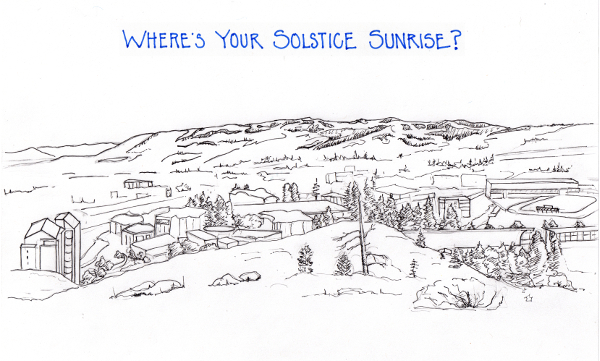 AND, for those not in Kamloops, Frank and I challenge you all to find your Solstice sunrise. We’d love it even more if you shared images of your Solstice sunrise with us on our Facebook page!